Street & Graffiti Art Videos | Oi YOU! 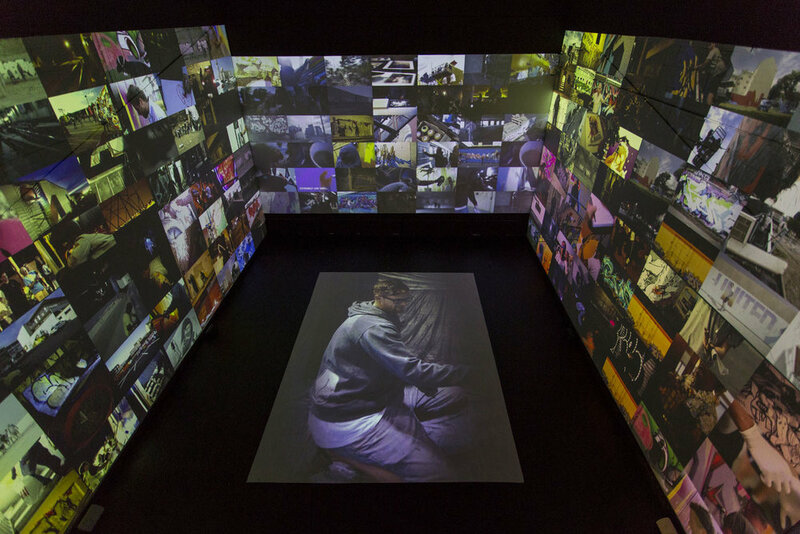 To create an immersive experience that would best showcase the development of Selina Mile's videography, we had to create an installation with 171 video channels. 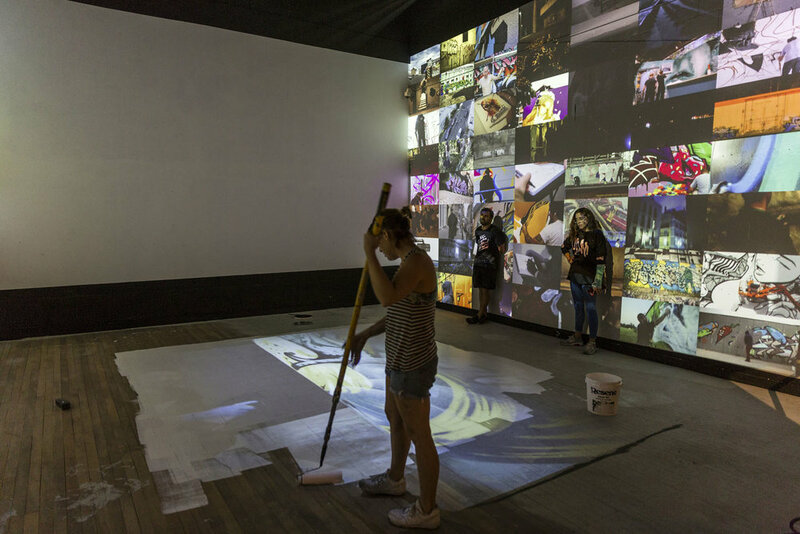 Nine projectors were deployed that ran 170 channels across three walls and one that projected interviews with all of the headline artists onto the floor. Designed and installed by the Oi YOU! Crew - videography by Selina Miles.